Is a K-Lytics Amazon Book Market Research Report Worth It? What is K-Lytics? It is essentially a service that does data analysis on all the books being sold on Amazon. These kinds of market research reports are very common throughout the retail sector and in other areas of business. But K-Lytics (I believe) is the first such marketing service to focus on the e-book market. When a Facebook ad popped up in my feed advertising a new report for $27 in the genre that my pen name is working in, I decided to try it out. To my surprise, it also came with two other more targeted sub-genre reports. Simply reading these three reports as a whole gave me a much better understanding of current market trends. -#1 Bestseller, Top 20, Top 100, Top 500, etc. The main genre report was 79 pages. The second sub genre report that was included was 74 pages. The third sub genre report was included was 63 pages. All of them had very detailed charts and graphs, enough to satisfy the most hungry of data junkies. But what if you are math challenged, you might ask? I hate numbers! In addition to the three reports you also get access to videos that go through the reports and explain how to interpret them, and what the significance of each conclusion means. The video on the main genre report was about 30 minutes long. The other two videos were about 10 minutes each. It was like having a data scientist walk you through the report, but with real everyday easy to understand language. As for the actual findings of the report, it was interesting to see how the number of copies was calculated for various books based on sales rank along with the estimated royalties (something you could probably spend all lot of time trying to figure out and do very poorly). Each report did this for the top 100 books. To see the range of sales and royalties was eye-opening. The report also included all the descriptions for the top 100 and the book covers of the top 30 bestsellers. It was very interesting to see the trends. Weeks after I bought the report, I was working on my blurb for my latest novel and found myself going back to the report to browse the blurbs. It was SUCH a time saver to have it all there for me. It occurs to me that this would also be the case if I was trying to get a feel for the covers in the Top tiers of a subcategory. Yes, I suppose this is something you could spend a lot of time doing yourself, but for me, I’d rather spend the time writing. Even though I have been studying this market and scouring Facebook threads and forum threads and talking to authors in this genre for years, I still learned some things. I only wish K-Lytics been around a couple years ago. I could’ve saved myself a lot of time. If I was considering writing a new genre to make money, or if I was a serious introvert who did not have the time or opportunity to network with other working authors, I would absolutely without a doubt order a K-Lytics report on that genre before attempting to write in it. Will I order another K-Lytics report again? Right now, I could see ordering this once or twice a year in my chosen genre just to stay on top of things. They have higher tiered memberships, but right now, I’m just not making enough (as in I’m not making anything because my books aren’t out yet) to justify those expenses. On a random note, it occurs to me that for the true newbie indie author, Chris Fox’s “Write to Market” might pair very well with a K-Lytics report indeed. Hmmm…Ideas! Unfortunately, I just don’t write fast enough to write to market, but maybe one of you will! And if you do, let me know how it goes! This blog post is being dictated as part of my 30 days/blog posts Dragon Dictation challenge, in which I’ve challenged myself to dictate and post 30 blog posts. Click here to see the original post and learn more about the challenge! Please note that the links in this post are affiliate links by which this blog may earn a commission. So my first blog post with Dragon anywhere didn’t turn out too bad. Like the previous blog post I’ve decided to try and dictate this one. In fact, I’ve decided I’m going to challenge myself and try and dictate 30 blog posts. In order to get used to dictating, one book (one of the ones listed below, can’t remember which one) recommended practicing with blog posts and emails before moving on to try it out with your own fiction. It’s not exactly a 30-day challenge because I do not have the time to blog every day but who knows, with this app maybe I do. I am currently dictating this blog post while waiting for one of my kids to finish their gymnastics class. If I can use Dragon anywhere to reclaim the random bits of time, here and there, this app possibly opens a whole new world of productivity for me. So what are the resources that I’ve been using to learn dictation and help me along? (This is going to be the last two lines in this blog post that IS actually dictated. I don’t even want to think about trying to figure out how to insert and organize book links via dictation just yet.) Honestly, I’m not going to drive myself crazy and try to make all blogposts 100% dictated, especially in these early days. But if I can get a workable draft, then it will go a long way towards increasing my productivity. I first heard about Scott Baker, I think through a friend on facebook. Then I found my way to the facebook group Dragon Riders – Authors Dictating (which has a wealth of info) and almost all the questions I had about equipment and how-tos tended to refer to Scott’s book. 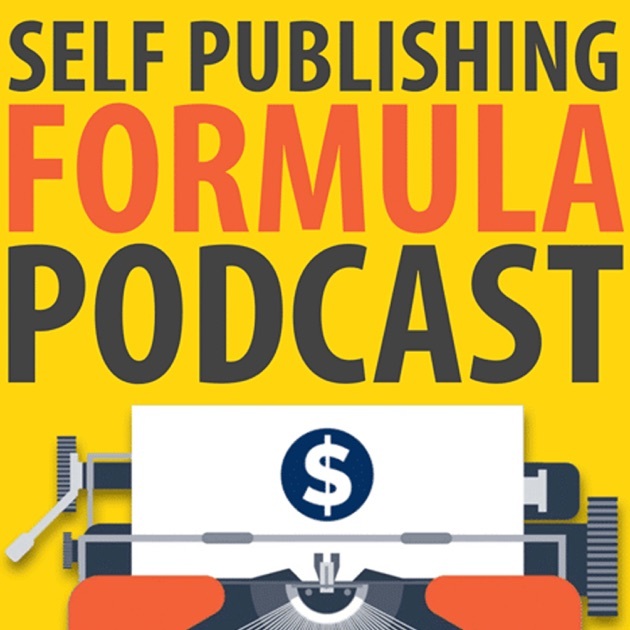 You can also check out The Self Publishing Formula’s podcast interview with Scott at, SPF-060: Talking the Talk – with Dragon Dictation expert Scott Baker (also includes a transcript for fast scanning). Dictate one blogpost or email. It doesn’t have to be long. You don’t even have to dictate 100% (though 80% is preferable). Just get it done. Because at this point, just learning how it might work for you is the goal. You can’t integrate it into your life unless you have some idea of how to do it. 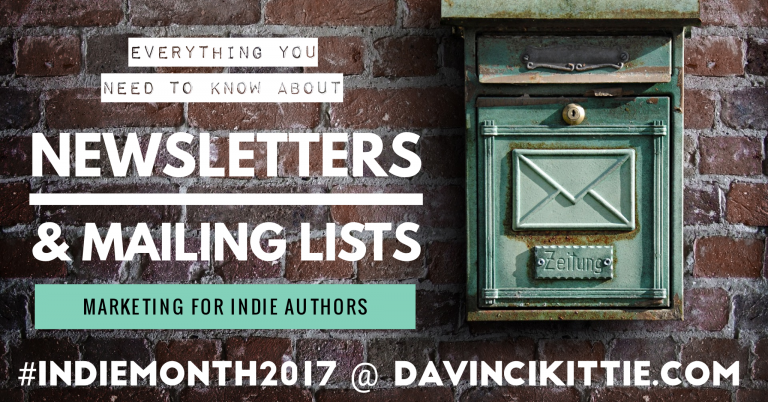 I’ve got a guest blog over at Gravetells about newsletters as part of her can’t-miss Indiependence Event, a month-long celebration of Indie Authors ! Check it out! How You Share Customer Information – Customers need to know that their data will only be used to complete the transaction and that any further use of that data (including selling or distributing it) requires their consent. Contact Information – Make it easy for your customers to contact you or file a complaint. Clearly, if at some point you are considering using Facebook ads and any of their targeting/tracking methods over on your own website, you should probably have some type of disclosures about cookies. And quite honestly, in my own author mailing list, I have no way of knowing where those subscribers are based because I don’t collect mailing addresses, only emails. But which one should you trust? According to this attorney roundtable podcast on the Smart Passive Income Podcast (which is well worth a listen, or going to the site and downloading the transcript for free, to because 80-90% of what this show talks about setting up a business structure applies to indie authors), some of these policies are junk. Please note that I am not an attorney, and this is in no way meant to be legal advice. I’ve attempted to use a bunch of different mail providers including Mailchimp, Wix Shoutout, Sendpulse, and SendinBlue. Of all of them, Mailerlite is absolutely the one that I would recommend for the startup indie author with Mailchimp coming a close second. Many people recommend mailchimp because they allow up to 2000 subscribers on their free plan, while mailerlite only allows 1,000. However a comparison will show you that mailchimp gets really expensive fast as your subscriber lists grow. With mailchimp, $65 will only allow you to add up to 5,600 subscribers. However mailerlite, $65 lets you add up to 20,000 subscribers. That’s a QUITE a difference! Granted mailchimp has sorts of bells and whistles, like integration with facebook and instagram ads. Yes, at some point I may look to mailchimp for that kind of integration, as ads become a more important part of my strategy, but my little startup author business just isn’t quite there yet. But the pricing is not the only reason why I think Mailerlite is #1 for authors. Mailerlite is #1 for authors because of the sheer responsiveness of their customer service. Anytime I have a problem (which is not that actually that often), their customer support is fast to help. If you are not tech savvy, note that Mailchimp does not offer any individualized support for their free plans. And even if you are kind-of-sort-of tech savvy (like I know super basic HTML kind of saavy and am confident I can learn wordpress given enough time), there are certain things when it comes to newsletters that I feel much better being able to rely on customer support. As an anecdote on how responsive Mailerlite is, an author friend of mine sent a suggestion to Mailerlite that they add Bookbub follow buttons to their social media options. It was done THE NEXT DAY. In comparison, when another author with a paid subscription requested the same thing of mailchimp, their response (and I’m paraphrasing here because I did not actually see the response) was that they would look into it. I’m not tech-stupid, but it’s nice to know that mailerlite has my back, especially as I’ve been venturing into the world of DRIP campaigns and automation sequences. Let me tell you that setting one up is not necessarily the most intuitive thing (though mailerlite makes it a relatively simple process). In my first automation sequence I did make a few mistakes (random tip: add an a friend to your first automation sequence so that they can confirm that your emails are going out in the right order). Thankfully with mailerlite’s help, I was able to get things corrected. If you’re interested in mailerlite and haven’t signed up yet, and have found this post helpful, please consider using my affiliate link here to sign up for a free account. Note that if you are also subscribed to Instafreebie and you have the two accounts connected (with your Instafreebie subscriber addresses being sent over directly to mailerlite, you’ll get a 30% discount. Have you used other mail providers that might be better at serving a startup indie author’s needs? Let me know in the comments! I’m in the process of studying strategies for an indie book launch, more specifically, online book launch strategies for a self-published novel. I’ve gone through the following books all (listed here in no particular order), of which have been important in helping me understand different methodologies. These books were good to help me establish a baseline of techniques and understand some of the different methods one could use. My take away is that there isn’t just one best way to launch a book. There are lots of ingredients and lots of ways to combine them. As someone once said (I’m sure), there’s more than one way to make a cookie. But how do these ideas work in practice? I’ve also been doing some research on how other authors have launched their books. The market is changing so rapidly that I believe that authors who recently launched books are the best experts to learn from. Here is a roundup of 10 real life book launches within the last two years to learn from, ranked by the most recent ones first. I’ve included debut and midlist authors trying to break into the top hundreds, as well as authors like Joanna Penn who already have a relatively huge platform and fanbase. As a result, theirs is a very large range in terms of goals and results. Different techniques will work differently depending on the point you’re starting out at. With each interview, I’ve also included the cover to each book (or series) that each post/podcast discusses that links back to Amazon so you can see for yourself how their books are currently doing now. Note that this is a podcast, but if you go to the website and scroll down, there is a transcript available. Also well worth listening to / reading is their podcast episode How to Launch a Book from May 2016, which talks about another one of Mark’s book launches. This is a mini-roundup of the podcasts from the Author Biz that cover Martha Carr’s launch of 6 books over 91 days. The first podcast is from November 2016, and the most recent podcast, the 5th one is from February 2017. I’m assuming that there will be a 6th episode later down the line to discuss how sticky her books were as a result of this super rapid-fire release. Note that there are no transcripts for these podcasts. Check out also, the second post related to the above launch. Note, he talks about using some gray hat methods to get his book higher up in the rankings, which may not be to everyone’s taste. “Here’s the short version: Michael published his first book, DEATH BECOMES HER on November 2nd, 2015 and earned $6.00. He wrote and published two more books in November and generated Amazon royalties of $427 for the month. Also WELL worth examining is the additional PDF Michael Anderle typed up for the Author Biz audience of things he DIDN’T get to talk about. It’s linked in the show notes of the podcast. As a bonus to the 10 stories I linked to above, I’m also including the Kboards thread where SF writer Nicholas Erik collected 13 book launch threads posted on Kboards by various authors. Nicholas’s Mini Guide To Launch Promo Services is also well worth a read. What’s the line where Amazon starts magically pushing your book? This question can’t really be answered, but it seems that you need to sell 250+ copies in a week for the algorithms to pick up and notice (note: this was originally estimated as 100 copies; I now believe it’s much higher for most genres). There are obvious exceptions to this rough rule – and KU borrows skew this – but that’s a solid benchmark to aim for. I sold 110 of a space opera and 150 of an urban fantasy book and didn’t get sticky, so the “sticky threshold” is dependent on the competitiveness of your sub-genre – I’d say aim for the Top 20 of your sub-genre, preferably Top 10. There’s pretty much a podcast for any interest you can think of. Here are 5 awesome podcasts to get a real education in what is going on publishing (mostly self-publishing). Seriously if you listen to all of their shows or even half of the shows listed for a month, you will get a pretty good idea of what you need to be doing (and if you listen to for more than a month and apply what you learn, then you’ll be way ahead of many others). Even if you are not an indie author, many of the podcasts here have episodes that traditionally published authors can take lessons from. Their tagline is “15 minutes long because you’re in a hurry… And we are not that smart.” Started by fantasy writer Brandon Sanderson, webcomic creator Howard Taylor, SF writer Dan Wells, and fantasy writer Mary Robinette Kowal, they’ve since added SF writer Wesley Chu, romantic suspense writer Piper J. Drake, and fiction professor Mary Anne Mohanraj to the line up. I’m starting with this one because it’s very short and the roundtable discussions are usually very focused. Granted they don’t really talk too much about business or marketing and the authors are all traditionally published, but there is always something to be taken away from their craft discussions, whether you are a newbie author just starting out or you are someone who has been published and writing for years. Hosted by Brian Cohen and Jim Kukral , this podcast is more like a weekly publishing news roundup. It’s a great way to keep up to date on trends and news in the industry. They pull out pertinent pieces of information from articles or blog posts recently published and talk about them on the show with a focus on consequences for authors. Recent shows have pulled from the news that Amazon is expanding their physical bookstores, a blog post from David Gaughran (Let’s Get Visible) about fake books, and a survey of six-figure authors. 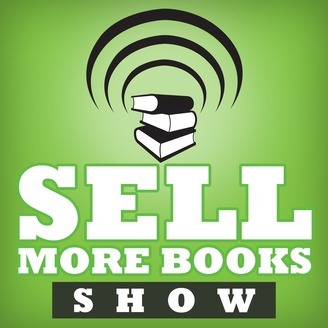 This is a book marketing focused podcast by Chris Syme, head of a strategic book marketing and communications agency, and her daughter, Rebecca Syme a USA Today Bestselling author. I really like their approach to marketing, which is all about marketing smartly and paying attention to the right things for you (which may be different than someone else). Listening to their podcast is also a good way to decide Chris Syme’s books on marketing are right for you. Although the podcast covers a lot of things some more advanced indie authors might already know, it’s still a valuable podcast to check up on. If I haven’t convinced you of the awesomeness of podcasts yet, here are two podcasts that offer transcripts. This is a podcast by indie best-selling author Mark Dawson paired with newbie writer James Blatch. This interview-based podcast is like eavesdropping on a super informative conversation guys at a bar during a con, only you’re not eavesdropping.I found the show about Mark Dawson’s use of his mailing list to launch his book to be one of those master class podcasts, that is so valuable he should be charging for it. One thing that is nice about their podcasts is that if you go to their website and give them your email address they can send you a PDF with transcripts for all of their past podcasts. So I confess, before I started listening to podcasts, I would still go to Joanne Penn’s website to read transcripts of her podcasts. Her interviews are always very fascinating and informative. Her story and interview style is very inspirational and friendly, like having a chat with a girlfriend over coffee. Each individual podcast has its own page with a transcript that you can just read without giving up your email address. Are there any other podcasts you enjoy listening to that you think should be on this list? Leave a comment and let me know! I am currently dictating this blog post on my phone using the Dragon anywhere on my phone. This is the first time I tried to dictate a blog post on my phone. To get an idea of how accurate this app is, I’ve decided to post this blog post, as is without making any further edits. That way you can see how accurate it is. I have also not had a lot of experience using this. I watched the introductory video which was less than five minutes. And I have probably only dictated two other small documents 200 words or less. The new thing that everyone has been talking about in the author forums and on social network is using dictation to increase your speed and productivity. I once tried Dragon a couple of years ago shortly before I had my first kit because I thought I would still have so much time once the baby was born and I could write while I sleep. Oh how innocent I once was. After reading Scott Baker’s book on the technical aspects of training my Dragon he basically convinced me that trying to do Dragon on my MacBook was going to be an endeavor in frustration. But like most people really don’t have the funds to just buy another computer to test out that I don’t even know work for me into my new life necessarily. But that’s where Dragon anywhere it comes in. For a monthly fee of $15 you can download the Dragon anywhere up to your phone and use your phone as a dictation device (I’m still on the first week free trial). The drawback is that it’s definitely not as powerful as Dragon professional which is kind of the gold standard when it comes to dictation software and it will not learn as well. It also requires an Internet connection to work (no dictating while hiking in the woods here). I read (skimmed) a book on learning dictation for fiction writers. It advised that you get the hang of dictation software by using it to dictate emails, blog posts, to do lists, and so on and so forth. So far it seems to be working all right so far. This is not to say that I haven’t made mistakes while I’ve been talking and looking at the screen. I have. But I’ve been able to correct most of my mistakes via my voice. This isn’t bad I was able to write a blog post while waiting for kids to get a school. What do you think of this blog post? Have you considered using dictation software? If you are an indie author (and even if you are a traditionally published one), having your own website is an ABSOLUTE MUST. If you do not have a website, Do NOT Pass Go, Do Not Collect $200. You need to have an easy way for people who are interested in your work to get in touch with you. In my former profession as a book reviewer, there were sometimes self-published authors who submitted books for review that were excellent and worth pushing forward and getting more press. But when you googled them, nary a name was to be found. Sure, I could have spent time emailing my editor, trying to track down the author, but that was more time than I had (and they certainly weren’t paying me enough to spend that time). So I would shrug and move on to the next book for review. I’ve talked to other reviewers about similar experiences. Sadly, it’s a not an uncommon occurrence. If your author name can’t be found on Google, it’s like you’ve never written a book at all. If you think you don’t have the money for a website, you’re wrong. At the very least, you can set up a free Wix website, and link it to a social media profile at facebook and twitter, and *boom* there’s your social media presence. I used Wix for 3 years when I was really just starting out, but now I’m using WordPress which is being hosted by bluehost. I also bought my domain at namecheap for under $10 (which also comes with free privacy protection so that you can stay mostly anonymous). For more detail about why I switched from Wix to WordPress, click here. And there is a panda. So I’m launching this site as a separate site from Pen Name in part because Pen Name’s site is with Wix, and has been for the last 3 years. Though Wix’s visual drag and drop made it super-easy to build a website in an afternoon, as I prep for a series launch and learn more about marketing best practices, I’m finding it doesn’t have the functionality to adopt the tactics I want unless I pay a lot more. Combine that with Wix’s ineffectual support that takes about 2-3 days to respond (YES, 2-3 days because I’m already paying fees but refusing to upgrade to another plan just to get decent support). I originally chose Wix because I wanted to focus the limited time I had on writing. Wix worked fine for publishing Pen Name’s first short story (something I did to learn more about the process of self-publishing). Would I still recommend Wix to the startup indie author? It’s not a bad option for the shoestring startup author if you can’t afford your own domain. If you have some minor tech skills (as in, you know how to use MS Word or can figure out software like GIMP) and are prepared for essentially no technical support, then yes. You can make a pretty good looking website on your own, quickly, when the budget is tight (wait for Wix’s annual sales when they have plans for around 50% off) with the idea that once your book business starts earning money you can change things. I’m locked into a contract with Wix for one more year, but in the meantime I need to teach myself WordPress, which is in part, what this site is about. I’m one of those people who learn by doing. And at least if I do things badly here, it won’t mess up Pen Name’s sales or launch. Personally, I’m starting to realize that as a shoe string author business, I need something that offers more functionality. I think WordPress is going to be one of those digital entrepreneurial skills I just have to learn to grow the business the way I want to. I’m still playing around with themes and figuring out what I want to do, so don’t be surprised if things keep changing. Disclosure: Please note that I am experimenting with affiliate links and that the link to Bluehost is an affiliate link. And here’s a Red Panda. Red Panda points the way to WordPress. Go! And though you may be confused now, you will learn! This is a blog about one indie author’s journey to learn business and digital marketing skills for successful self-publishing. I’m not an expert at self-publishing or the indie author but I’m hopefully teaching myself to be one. I typically post once, sometimes twice a week. Don't Miss Out! Get Updates and Free Stuff!